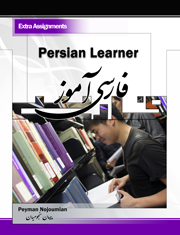 Textbook Ordering: The Persian Learner set is a Print On Demand production; that's one of the reasons why the costs are subsidized to be affordable for students. The set is printed with premium quality colors on high quality papers in the USA by an Amazon company. The current prices are 30% of their real cost price. 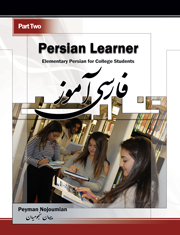 Please simply ask your students to purchase them directly from Amazon.com (might be eligible for free shipping) and instruct your bookstores to kindly include a note for students to purchase them directly from Amazon.com as well. Customer Service: Customers should contact Amazon customer service directly if there is any issue with their purchase or damage in the mail. Course Adoption: Instructors who adopt one of the four textbooks (Part One to Part Four) are eligible to receive a free desk exam of the textbook they adopt. Please email us your name, address and a verifiable academic email for your free exam copy when you adopted one of the textbooks. 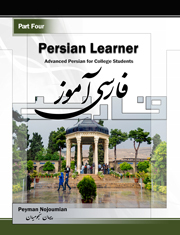 Audio/Video DVD: The Persian Learner Part One to Part Four Audio & Video DVD is distributed by Kunaki, LLC. Please order directly through the above link. 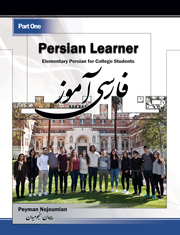 The DVD contains audio and video materials (no feature movie) as well as some maps, high quality images and homework pages (in PDF) for each part separately. 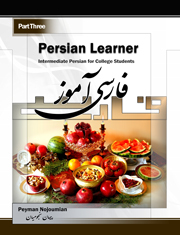 If instructors require homework to be handed in, students can buy the DVD and print them. Otherwise, the Audio/Video contents of the DVD is available for free (except homework pages) in this website when textbook is registered.